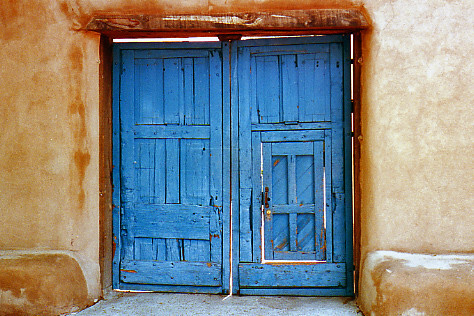 Santa Fe is a city with a passion for the finer things in life. Over the years, Santa Fe has become a foodie paradise, renowned for its culinary creativity and innovative flavors. Here, you’ll find a city that boasts over 200 restaurants serving everything from traditional New Mexican home cooking to contemporary fine dining to local farm to table discoveries. 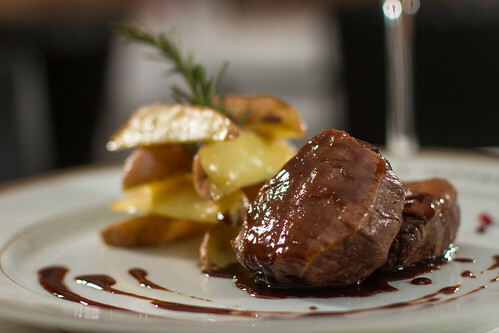 When in Santa Fe, be ready for your tastebuds to embark on an exquisite journey. But there’s more to Santa Fe than the food. There’s the art; art that is as dynamic and vibrant as the community from which it is produced. Santa Fe is truly an artist’s city, a legacy that dates back most recently to the New Deal Era, when President Roosevelt commissioned artists to produce works to be displayed in public buildings. Now, imagine these two amazing worlds coming together. Every winter in Santa Fe, the culinary and art scenes collide for one massive event called ARTfeast. 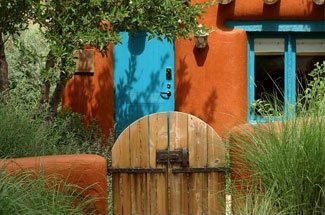 Book your stay at our Santa Fe Bed and Breakfast this winter, when you join us for this fantastic fusion of culture. ARTfeast, which is entering its 17th year, is a legendary winter celebration of artful living. Throughout the weekend, there will be five different events, each in turn celebrating world-class chefs and restaurants, regional vintners, prominent local artists and galleries, unique homes, and even an evening Fashion Feast featuring internationally renowned designer Mondo Guerra. The goal of these exquisite events is not just to celebrate the finer side of living in Santa Fe, but rather to raise money to benefit a non-profit company called ArtSmart. ArtSmart uses this funding to provide an opportunity for Santa Fe and New Mexico youth to explore, experience, and engage in the visual arts. This year’s dates for ARTfeast are February 21-23rd, and tickets can be purchased online. On Friday night, start in the Downtown and Canyon Road districts, where 35 galleries join with restaurants to kick off ARTfeast 2014 with the Edible Art Tour. Following this is the Fashion Feast, where Project Runway All-Star Mondo Guerra will present designs from his 2014 collection, and DJ Rose will kick off a dance party. On Saturday, savor five delicious courses with a dessert-bar finale created by five of Santa Fe’s top chefs at the Gourmet Dinner. The sumptuous weekend ends on Sunday, with the Artist’s Brunch, where you’ll have the chance to view “Feast: Radical Hospitality in Contemporary Art” by Sonja Alhauser at SITE Santa Fe. Whether ARTfeast is a yearly tradition for you, or whether this will be your first year, it’s a Santa Fe event that should not be missed. 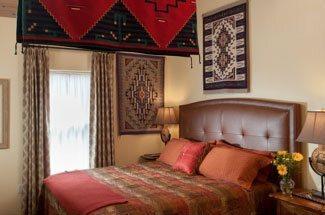 Book your stay at Four Kachinas Inn Bed and Breakfast, centrally located to the heart of Santa Fe. Our luxurious accommodations are sure to make you feel at home during your weekend as Santa Fe’s premier winter event.